** LARGER THEN AVERAGE GARDEN ** Located in a CUL DE SAC position is this THREE bedroom DETATCHED family home in Middleleaze offering great access to the Shaw Village Centre and local Public house. 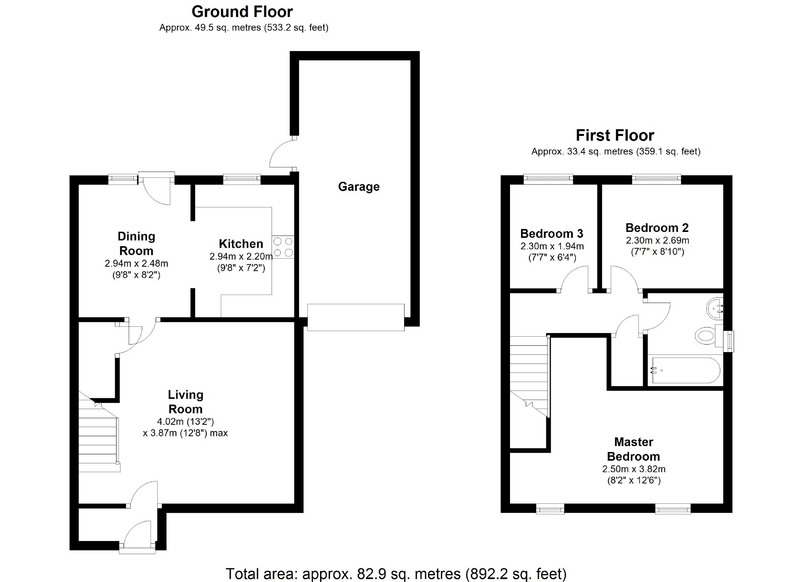 The property comprises PORCH, living room, DINING ROOM and fitted kitchen. The first floor offers MASTER bedrooms, two further bedrooms and FAMILY BATHROOM. Outside are ENCLOSED GARDENS, driveway parking and GARAGE. Further features include PVCu double glazing and GAS CENTRAL HEATING.